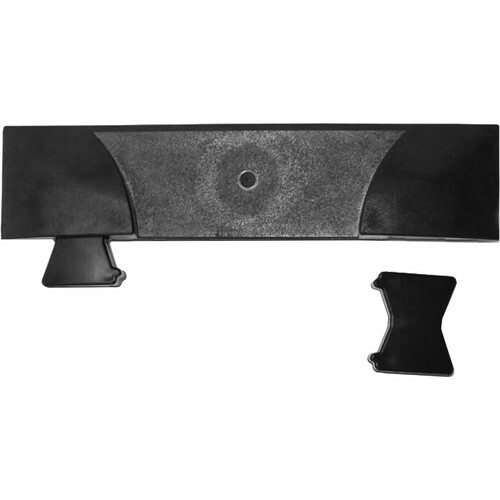 This MIDI ER End Ramp for MIDI 5 Cable Protector by Defender completes the end of the MIDI cable protector system and is designed to conveniently route cables while providing heavy-duty support by handling high load capacity to support trucks, forklifts, and other vehicles. The surface provides good traction while lining up to the Defender MIDI to form a rigid continuous protection system. It can be used in a range of applications such as construction sites, trade shows, warehouses, fairs, music events, and many more. The end ramp is made of polyurethane with a non-slip surface. The MIDI ER is resistant to oil, acids, solvents, and petrol, as well as fire. Box Dimensions (LxWxH) 11.4 x 4.8 x 4.65"